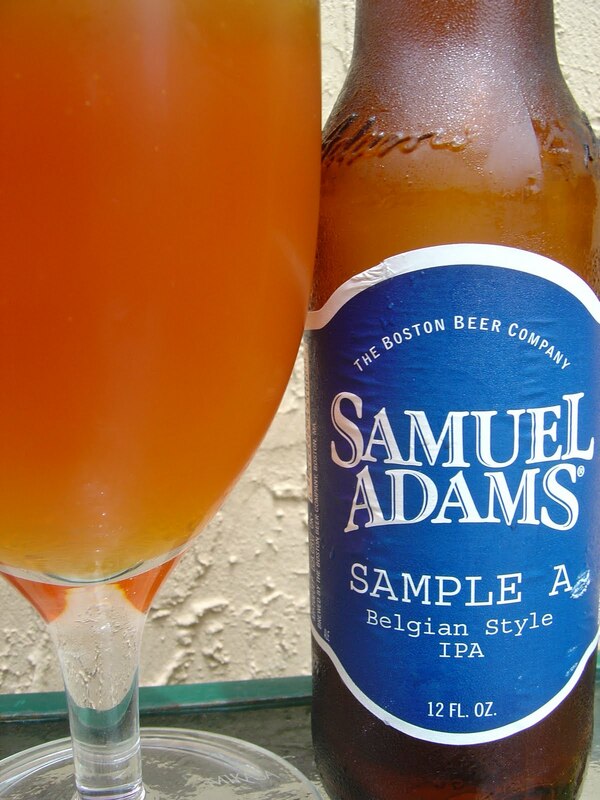 The Boston Beer Company is currently running their sixth annual Samuel Adams Beer Lover's Choice Contest. Over a period of roughly 3 months, the company allows beer drinkers to sample two beers in a head-to-head contest, voting for their favorite. The vote helps determine which beer will join the Samuel Adams Brewmaster's Collection in January. Last year, their Noble Pils won the competition. This year, they put a Belgian Style IPA against an American Rye Ale. I wasn't able to make the local tasting at Total Wine in Pembroke Pines, but I did manage to speak loudly enough about how much I'd love the opportunity. 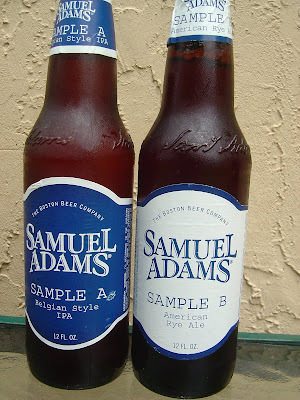 You see, Ed Roberts scored me a bottle of each sample from the local Sam Adams representative. "But who's this Ed Roberts you speak of? Some magical genie?" You're obviously new. Pay attention and you'll figure it out. So good news is that I have time to take pictures and drink a whole bottle of each. Bad news is that my vote here will probably go on deaf ears! Disenfranchised by the very love of my life! No, not you, Ed. Fruity aroma with apples and peaches, just a hint of spice. Apple flavors start things off as well, but these are your Granny Smith apples, very much leaning sour and tart. The yeast is very distinct and adds texture and an added dimension in addition to flavor, a little funky and sour. A solid hoppy bitterness does overtake that little bit of sourness, mainly with lemony citrus, providing a little bite and kick. Lingering bitter flavors, well, stick around and loiter for a while. Dry finish with a touch of alcohol. Crisp, refreshing, lots of flavor. I'd love this in a 12-pack! Malty rye aroma, distinct spiciness. Sweet rye, spectacular flavors right from the start. I love the spicy black pepper, not overdone, but enough to take little jabs at your palate. Plenty of bread flavors continue, with nuances of orange darting in and out. 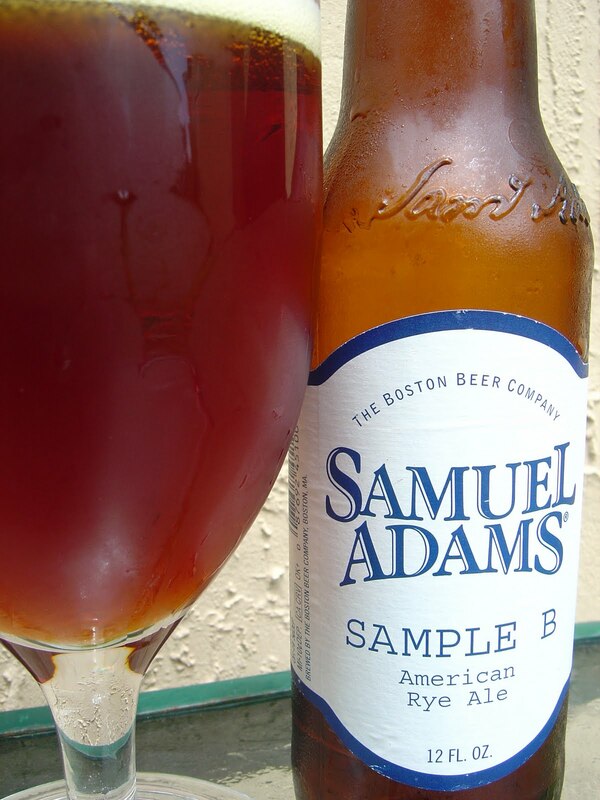 The spice is just enough to keep the sweet malty flavors from running wild. Very flavorful, with a lasting aftertaste. 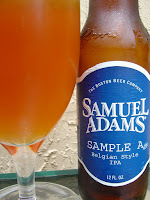 I love this style of beer and this was a terrific example. Awesome! 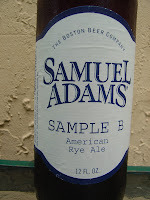 The winner for me is Sample B, the American Rye Ale. It was a tough decision because both choices were excellent and also because they are such opposites. Now I know how the Best in Show judge at Westminster must feel deciding on the Rottweiler versus the Bulldog or Cocker Spaniel. 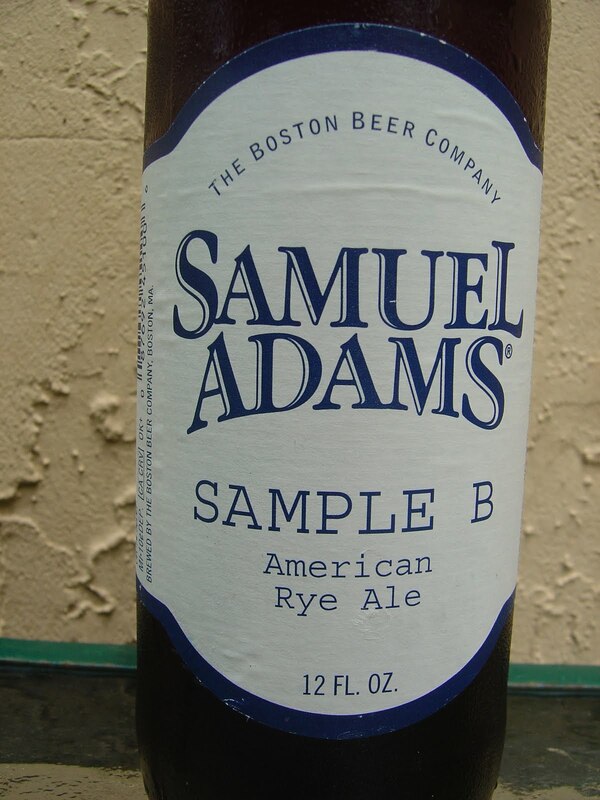 Not only do I personally prefer the Rye Ale, but I think it would suit the average Sam Adams drinker more. I'm not saying that the Belgian Style IPA wasn't really good, but I'm not sure that the Brewmaster's Collection is ready for that sour yeasty beer--they should brew and sell that in sixers. On the other hand, the Rye Ale is perfect--I've had rye ales that had abusive black pepper spiciness, and this was not that, yet it still had enough of a nip! 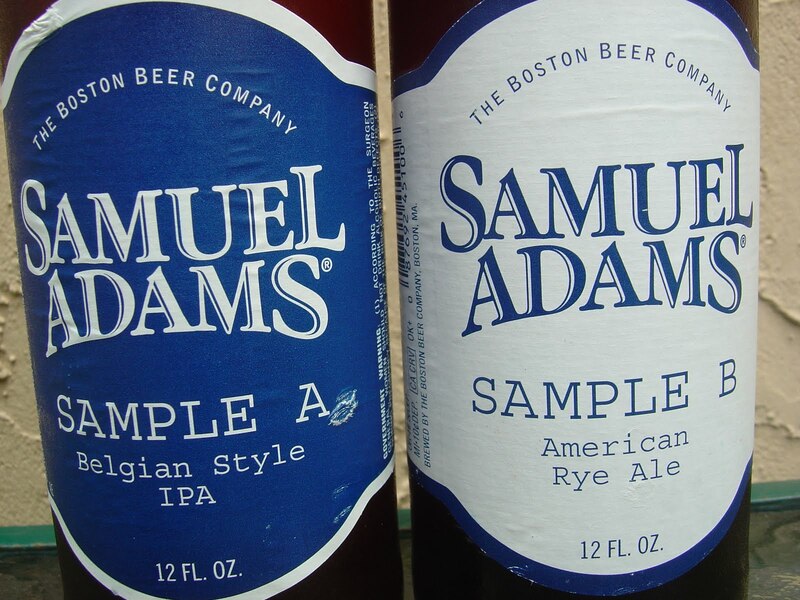 Sam Adams fans will fall in love with the Rye Ale! I know that Boston Beer Company is sampling beer drinkers in general, but it's my opinion that the results will not be exactly from the absolute most diverse cross-section of people (not everyone goes to a bar or club or retailer and many that do are not interested in participating). I'm not sure if the people's vote is the only factor in the decision or if there is some formula--in any event, JK probably has veto power anyway. And after all, Noble Pils was the winner last year--I guess I need more faith in people. 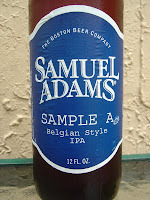 Anyway, Boston Beer Company, if asked, I will be happy to give my opinion and I am available for consulting work. I love you! Very interesting to read about the differences between the samples! Have to admit that I always generalized beer in the past, mainly because I don't drink it. But when I started to look into wine for my dad a few years ago, I also got to realize that beer had specific flavors/undertones as well. I know, it's only logical, because there is not one beer the same. But if you don't know it and you don't look into it, you will live in this little world with no knowledge about it. Sounds like you could be the voice of the "craft" beer industry trade group here. Many, many people think beer is beer and that's the end of the story. 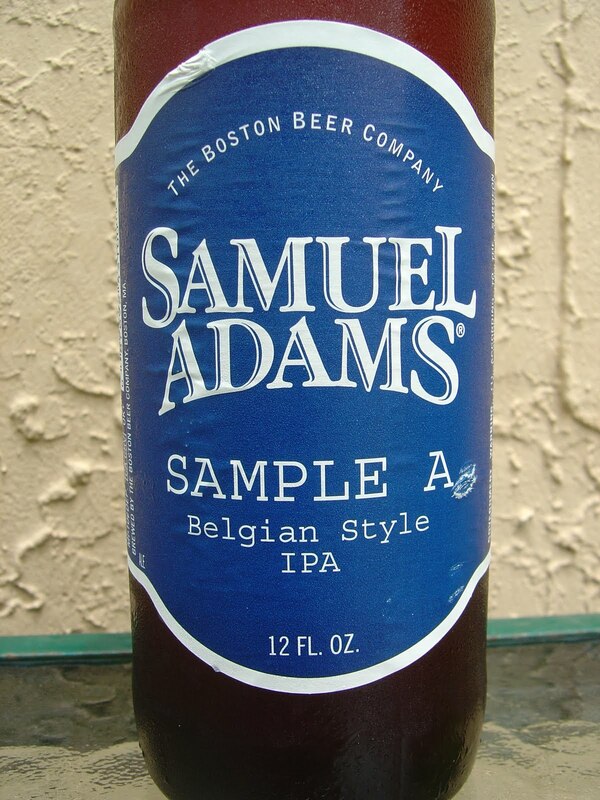 Sam Adams is a great brand to actually help people get over that mindset.